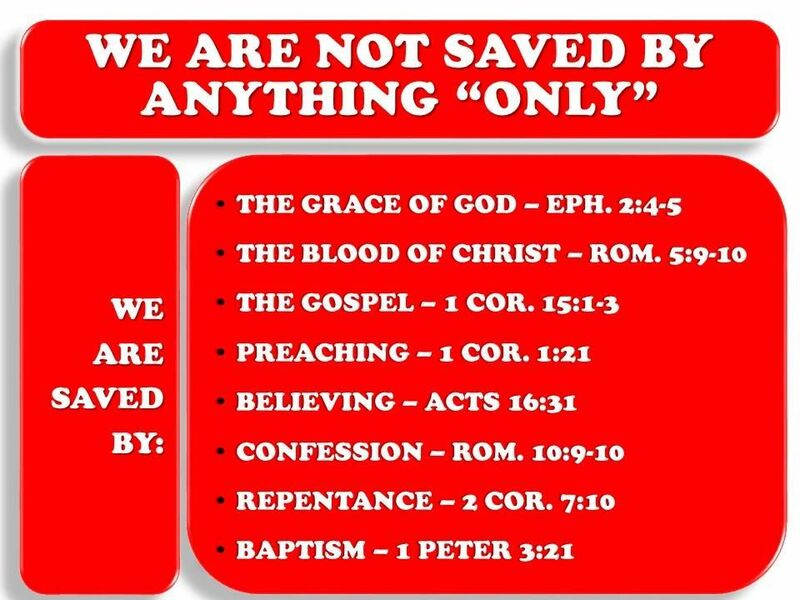 Belief – Acts 16:31 And they said, Believe on the Lord Jesus Christ, and thou shalt be saved, and thy house. Hope – Rom 8:24 For we are saved by hope: but hope that is seen is not hope: for what a man seeth, why doth he yet hope for? God – 1Timothy 2:3-4 For this is good and acceptable in the sight of God our Saviour; 4 Who will have all men to be saved, and to come unto the knowledge of the truth. Repentance – Acts 11:18 When they heard these things, they held their peace, and glorified God, saying, Then hath God also to the Gentiles granted repentance unto life. Blood – Rom 5:9 Much more then, being now justified by his blood, we shall be saved from wrath through him. 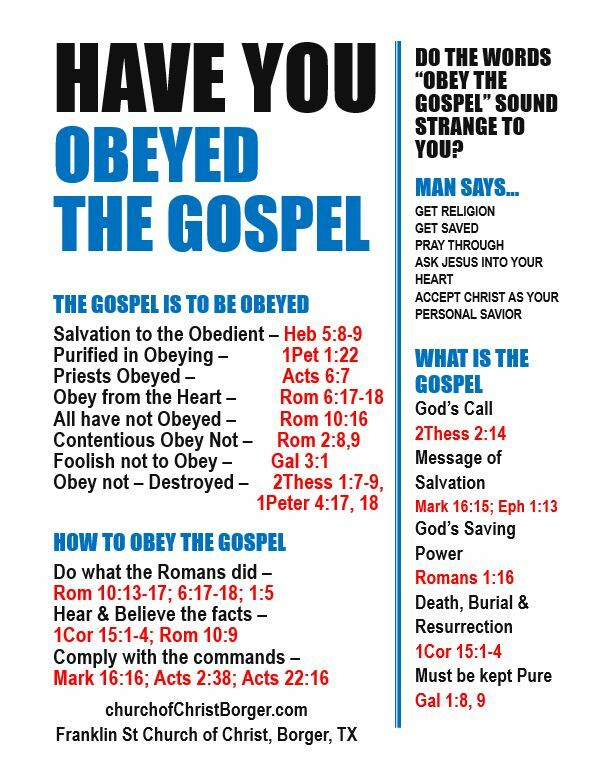 Works / Obedience – James 2:24 Ye see then how that by works a man is justified, and not by faith only. Confession – Ro 10:9 That if thou shalt confess with thy mouth the Lord Jesus, and shalt believe in thine heart that God hath raised him from the dead, thou shalt be saved. Jesus – Matthew 1:21 And she shall bring forth a son, and thou shalt call his name JESUS: for he shall save his people from their sins. If we can eliminate this one, baptism, then we can eliminate any of them. Can we eliminate any? If not, then why do so many only talk about just one? As you can see, I’ve only used scripture. Read it, let the Word of God give the answer. If we can help you in some way, please reach out to us.